Gray's costume, on the other hand, was a cinch. Shipped straight to my door from the online shop Buy Costumes. 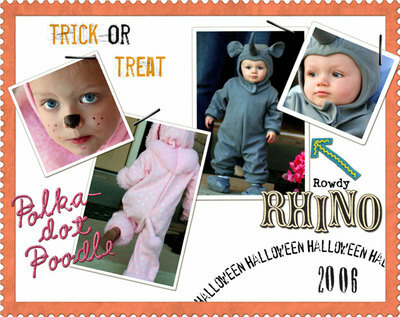 I love, love, LOVE the Tom Arma duds and knew the second I saw this one that my little guy would make the most adorable rhinoceros. (Yep...Mommy goggles are on in full force.) So here are some shots of the babies all dressed up for a birthday party last week. AND, lucky for us, *Henry* and I were invited to a fantastic murder mystery dinner party this year as well. 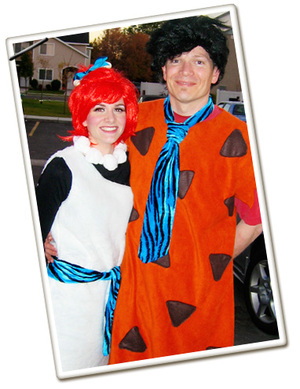 I was scrambling to come up with an idea....so I whipped up some furry frocks and we went as the Flintstones. How civilized! 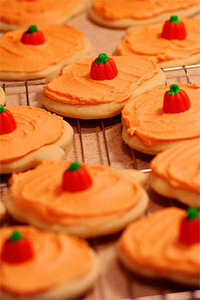 Anyhow, I hope you all have a wonderful Halloween! Be safe out there! I took a little break from blogging as I've barely had enough time to think straight, but I'm back and ready to post! LOL I've been tagged twice, scrapped a few pages, and had a vacation with some of my very favorite girls...so I want to get all caught up on all of those fun details. But first, I just must do another little blog gift. It's been FAR too long since the last one, and these silly things just make me so happy. Nothing too fancy, but I had a blast putting this together. I only have enough fabric for 1 more "Lucy" because I used some old scraps that I had in my stash. Sorry for the slim pickings on this one! I will have a similar style for sale in my shop in a few weeks. 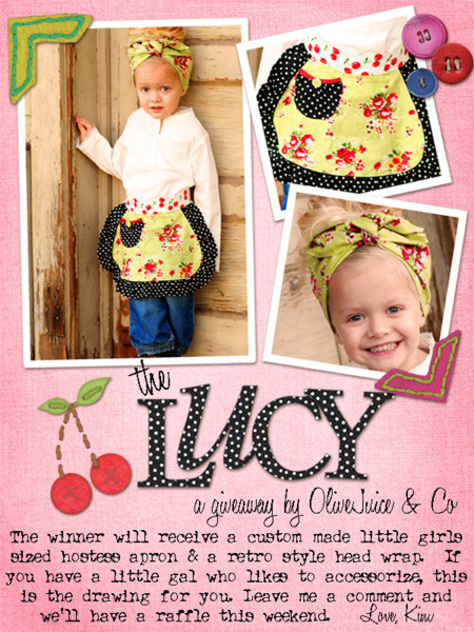 *wink* Oh, and I have to tell you that sweet little Liv chose the fabrics herself. (okay....I chose the polka-dots, but I was quite impressed with her floral/cherry combo. LOL) I think she might just have a career in fashion design! Now THAT would make her Mommy proud. PS. I can make any size from 6 months- size 10 (in girls). digital elements by shabby miss jenn, tiff brady, and jen wilson.